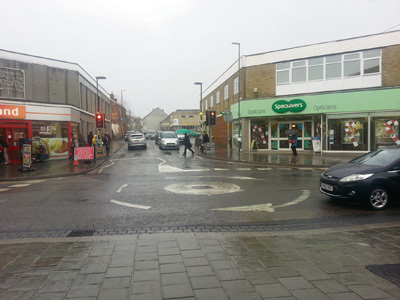 Questions have been raised over the planned locations for pedestrian crossings in Keynsham town centre. 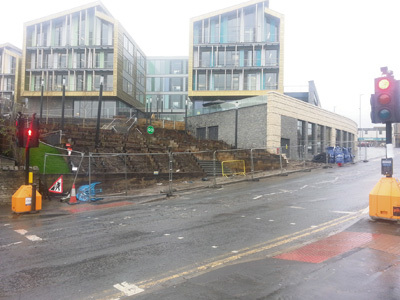 a crossing on Temple Street near the road into the multi-storey car park, where currently there are temporary lights. 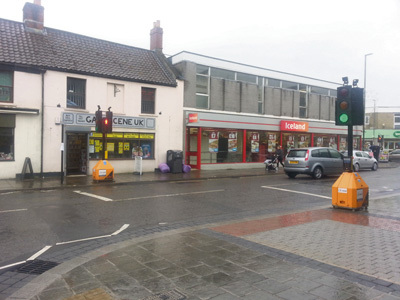 The proposals also include an upgrade to the existing zebra crossing on Rock Road by its junction with Temple Street to a light-controlled crossing. While local councillors have welcomed the plans, concerns have also been raised that there is no crossing from one side of the High Street to the other between the Costa cafe and Rock Road, sparking fears people will try to cross near the roundabout at Bath Hill. Councillor Alan Hale, who also works as a senior road safety officer for a neighbouring authority, said: “As these plans stand, anyone coming from the Post Office and wanting to access the library has to walk from the Post Office along the High Street to the crossing on Rock Road, then walk along Temple Street to reach the crossing near the fire station, then cross over to the fire station and walk back another 50 yards or more. “Alternatively they would have to cross over on the High Street by the Post Office, then walk down to Bath Hill to the new crossing there, cross the road and then climb back up the hill or use the steep zig zag steps. People can comment on the proposals, which are available to view at Keynsham’s One Stop, until January 15 by emailing transportation@bathnes.gov.uk or writing to the Transportation Team at Bath and North East Somerset Council, Lewis House, Manvers Street, Bath, BA1 1JG, quoting the title Pedestrian Crossings, Bath Hill and Temple Street, Keynsham and the reference number PEV10501/KG. The council has also published details of proposals for loading and parking restrictions around the town centre. In Temple Street it intends to create a loading bay between 10am and 4pm and between 6pm and 7am. There will also be parking bays for visitors. 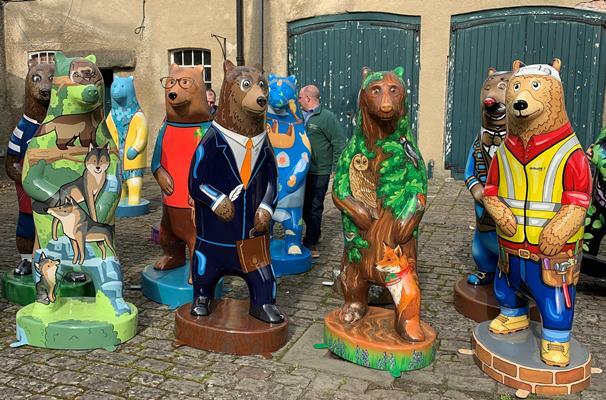 The authority will also prohibit and restrict parking on lengths of Back Lane, Bath Hill, High Street and Temple Street. The full scheme is also available to view at the One Stop Shop and can be commented upon until January 15 at the same address, quoting (Various Roads, Keynsham) (Prohibition and Restriction of Parking and Loading) (No Stopping on Entrance Markings) (Authorised and Designated Parking Places) (Variation No. 1) Order 201-) and the reference number PEV10500/KG.